Gold IRA GuideGold Who is set to win the global currency war in 2015? Who is set to win the global currency war in 2015? The surge in the US dollar index since October 2014 is often cited as a sign of underlying strength returning to the US economy, but there seem to be other less clear cut reasons simmering just under the surface to explain the dollar’s relative strength against its major competitors. Since the Fed’s tapering decision in the fall of 2014, interest rates have remained on hold with seemingly no danger of a hike in the immediate future. The reason for this prolonged pause in rates is clear – other countries have stepped into the fray with their own currency suppressing policies in the absence of quantitative easing from the Fed. These policies are tantamount to a full blown global currency war, a global race to the bottom in an attempt to fulfill the financial sector’s insatiable desire for loose monetary policy. Since the Fed’s tapering decision, the dollar has found itself caught in the crossfire of this global currency slide – faced with slumping currencies throughout Europe, South America and Emerging Asia, the dollar has become the most attractive looking currency port of call for investors. The question going forward, is what effects will this game of fiat currency devaluation produce in the long run? How do companies deal with changes in fiat currency rates? Running an international business right now is fraught with difficulties. Whether it's large corporations with vast international markets or SME’s reliant on overseas suppliers or customers as a significant portion of their business, planning decisions within these firms are increasingly at the mercy of global currency gyrations. Taking the Euro as an example over the past 12 months, the single currency has posted a low of 1.04 and a high of 1.40 vs the USD – a percentage difference from high to low of 35%. If companies were unfortunate enough to be entering into long term contracts at either of these prices, the financial implications could be enormous. For publicly listed companies, the PNL impact could run into millions, having serious repercussions for stock prices . Even if a company has been spared some of the immediate pain over the past few months, they will still be dogged by uncertainty going forward. The rapid fluctuations in fiat currencies affords no clarity for business in upcoming negotiations between suppliers and customers – an entire financial year can hinge on a company’s currency forecast. This is the current predicament the world finds itself in. What are some of the negative effects of sustained currency wars? Alongside the immediate corporate uncertainty which currency gyrations create, a country’s continued debasement of its own currency sends a terrible signal to investors. A currency which continues to depreciate over time is not conducive to long term economic planning and is likely to deter large capital projects from ever taking place. The quality of direct foreign investment will be of a relatively poor standard – confined to labor exploitive industries and less capital intensive projects. Eventually, such a country only attracts relatively hot money, and the country finds itself at the mercy of the ebb and flow of speculative investor sentiment. This has a detrimental effect on the long term development of a country. Large investors in emerging markets are finding this out the hard way as we speak. Despite fantastic gains in these country’s stock and bond markets, real economic activity such as infrastructure spending is often lagging. Given the narrow exit doors from such economies, the risk of these investors losing their shorts is extremely high. There is a huge hangover to come from the exuberance and malinvestment across emerging markets which is likely to domino into western financial markets as a consequence. Revenue streams for these projects are often denominated in local currency but a lion share of the costs are in US dollars. The ability to forecast loan repayments and ongoing maintenance become difficult when the currency is being continually undermined. Sectors such as Transport, Aerospace, IT and Communications technology are often the first to run into trouble. Banks and property developers will also be hit as much of the financing secured has been in US dollar terms. So who is set to win the currency war currently raging around the world? None of us. Currency wars are a “lose-lose” game. The value of labor is diminished and purchasing power on the international stage is reduced. Businesses lose clarity on what production costs will be, and what revenues will potentially translate to in base currency terms. It is vital to secure a suitable hedge against the continued debasement of fiat currencies globally. Although the United States is currently flavor of the month in terms of fiat currency desirability – in reality, there is no desirable fiat currency in terms of a store of wealth. All fiat currencies are debased over time and all lose the vast majority of their purchasing power. In over 5000 years, not one fiat currency has survived. The monetary experiments currently in force throughout the world have been successful in averting the brunt of the economic fallout from the Lehman collapse but it’s increasingly pertinent to ask “At what cost?” – currency volatility and declining purchasing power look set to remain a prominent part of the financial landscape going forward – investors will need to keep this in mind. 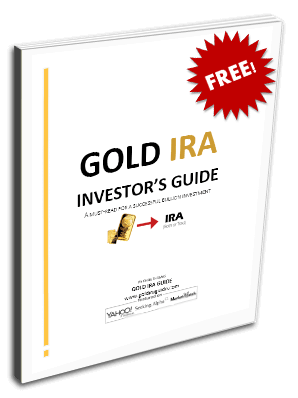 Andrew is a guest contributor at Gold IRA Guide. He has over two decades of experience in financial writing and enjoys covering the economy and alternative investment landscape.